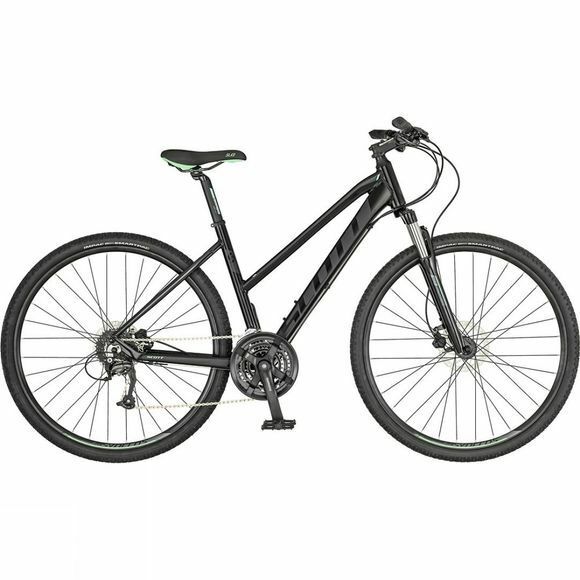 The Women's Sub Cross 40 2019 is Scott's hybrid city bike designed with a focus on comfort and convenience. The bike's upright ride position, large tyres and comfort-first geometry make daily excursions and longer adventures much easier. Scott's engineers created a bike that would be able to handle all the bumps and cracks in the road ensuring that it is dependable and low maintenance. The Syncros components and Tektro disc brakes are reliable in all weather conditions, regardless of the season.